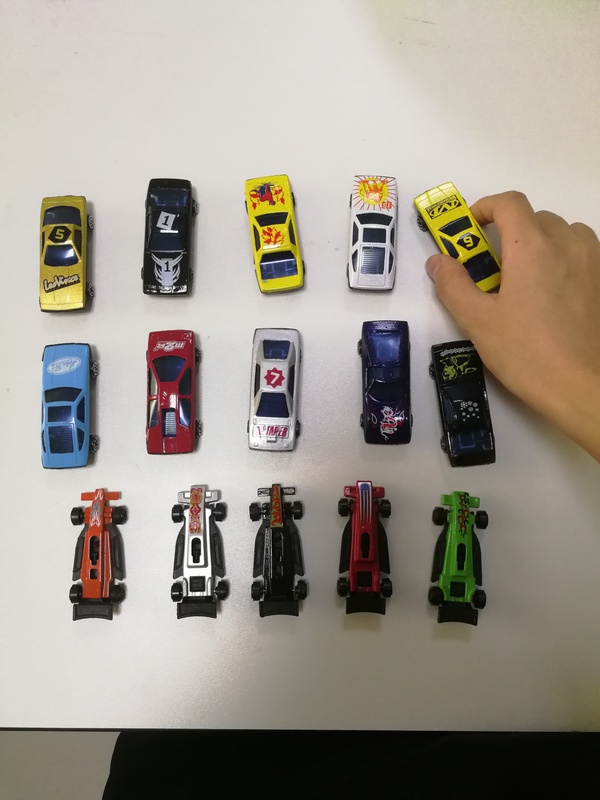 Value Pack-includes 50 different mini toy cars, 1 roll road tape, 1 sheet of bend stickers. Material-mini toy vehicles made from high quality alloy and plastic.Road tape and bend stickers are paper-based. Non-toxic and odorless. Road tape and bend stickers are removable. Easily stick to floors or walls. Quick cleanup. Tear without any tracks. Enter a world full of imagination and creativity with children. Add it to your cart! Package includes: 50 different mini toy cars, 1 roll road tape, 1 sheet of bend stickers. Value Pack! Mini toy vehicles are made from high-quality alloy and plastic. 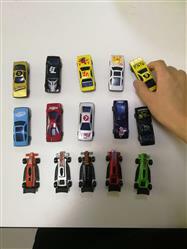 Size of each toy car: 6.8cm*2.7cm*2cm. Width of road tape and bend sticker:5cm. 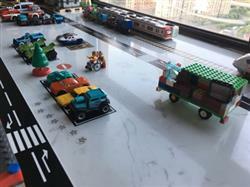 ❤ Fun toy vehicles playset is waiting for you! Welcome to our shop! Have a good time! This car set totally worth the price, 50 cars added to my collection, I get all excited. I got a lot of car toys especially Disney's and Thomas'. This pack is also good although not a famous one. But the quality is OK.